Looking for gifts for the creative people in your life? We are here to help! We have put together a list of our top 12 gifts to inspire you for gift giving this year. Gifts for artists that you’ll be proud to give, they’ll be thrilled to receive and that are sensibly priced. 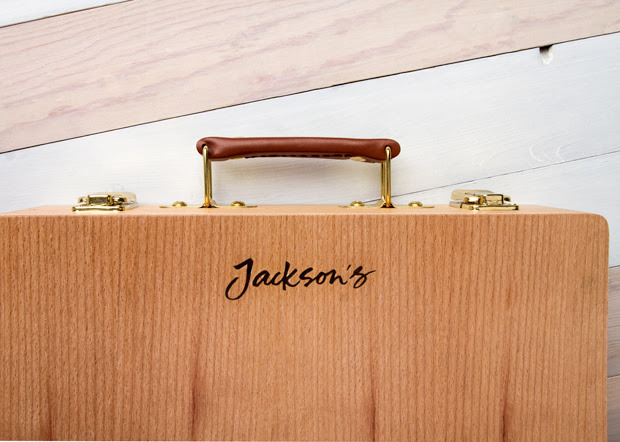 This sturdy, lightweight, beechwood case can fit up to 196 pastels from our own Jackson’s Soft Pastel range or Unison pastels. 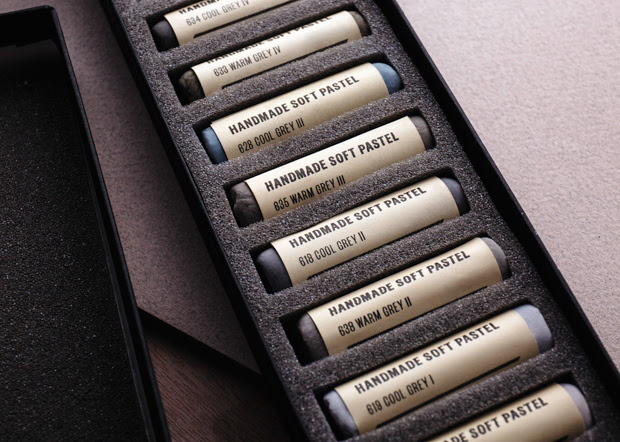 It is a great gift for pastel artists empty for them to fill or you can add include some pastels as well. 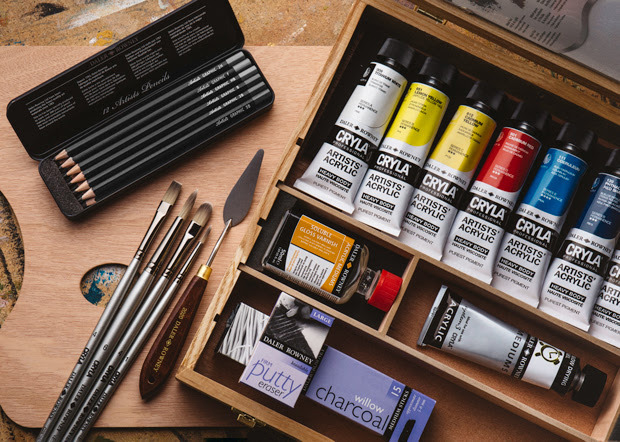 Containing a combination of artist quality acrylic paints, synthetic brushes, mediums and other accessories, this deluxe wooden box set from Daler-Rowney has everything they need to start painting with acrylics. 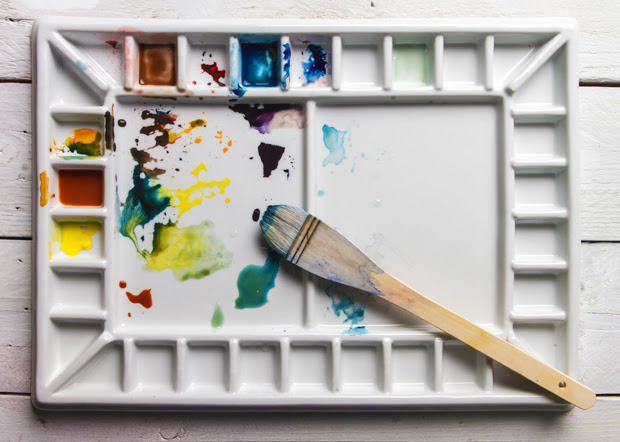 This large palette is perfect for mixing acrylic or watercolour paints. The smooth surface won’t stain and acrylics will peel off when dried so it is easy to clean. Comes with a clear lid to protect your paints. 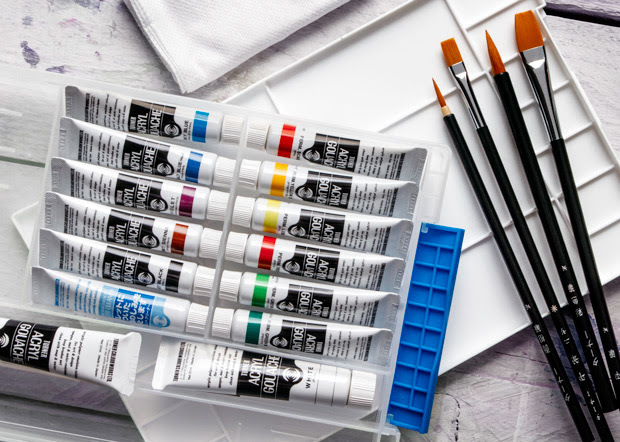 This set of creamy, matt acrylic paints includes eleven 11ml tubes and two 20ml tubes of Titanium White, along with a number of drawing and painting accessories, all housed within a portable plastic box. 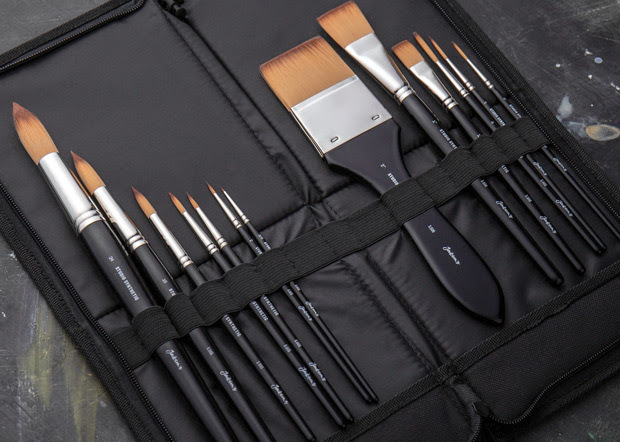 A selection of 13 useful shapes and sizes of Jackson’s Studio Synthetic watercolour brushes in our great brush easel case that props your brushes up to see while you’re working. 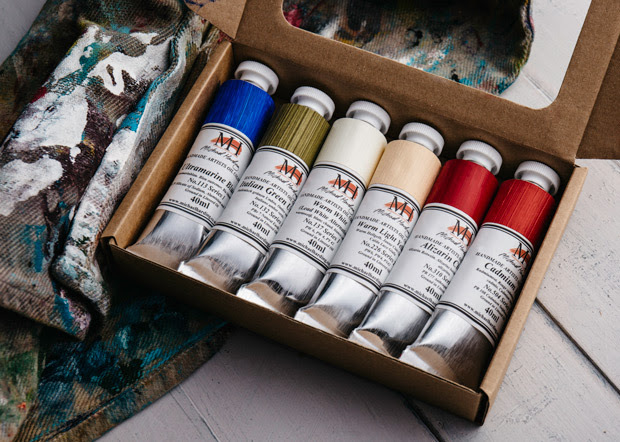 Michael Harding paints are highly pigmented and have a creamy texture that can be used straight from the tube, the choice of the professional artist. 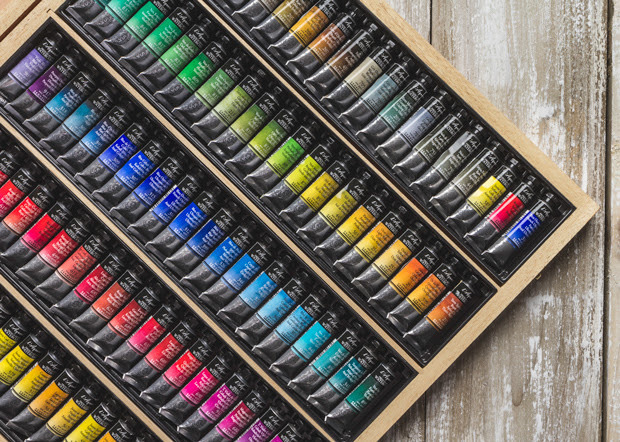 With 98 10ml tubes, this set from Sennelier represents fantastic value for money, and gives you access to their entire range of colours. This set of cool and warm greys works well for artists with an interest in monochromatic sketching and tonal studies as well as working well for cloudy skies. 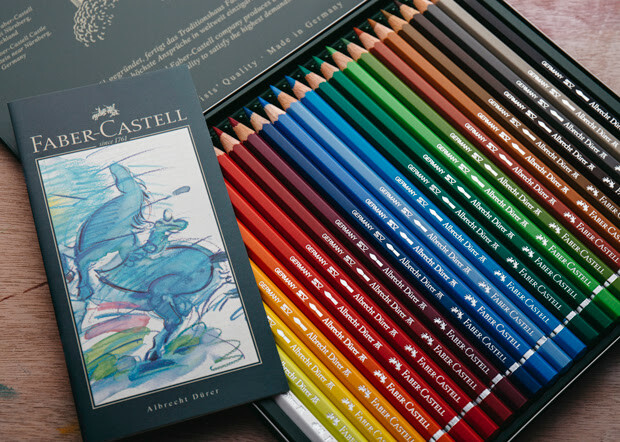 Jackson’s Soft Pastels have been favourably compared with the best pastels on the market. 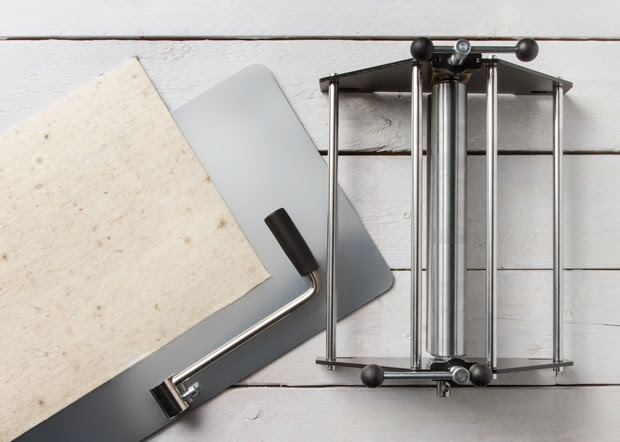 A compact printing press that represents great value for money. Rated 5 stars by our customers. 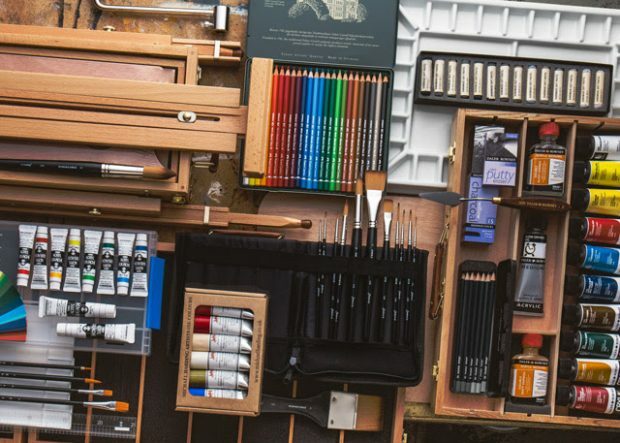 A field easel that has a box to hold your paints. 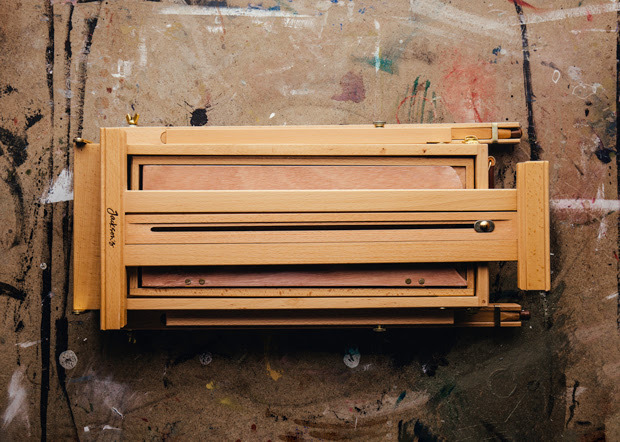 It folds to a compact size and is ideal for artists who work outdoors. 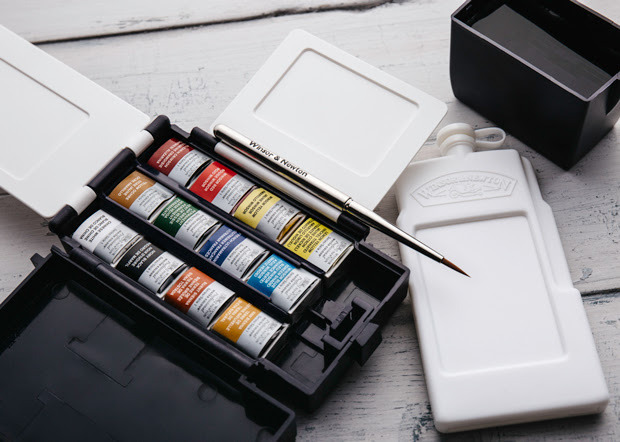 A set of 12 half pans of Professional Watercolour from Winsor & Newton complete with a sponge, water bottle and travel brush, all in a case small enough for your pocket. These versatile watercolour pencils can be used as dry coloured pencils and are easily wetted and are great for fine details in watercolour paintings. Click on the underlined link to go to the current offers in the Gift Ideas section on the Jackson’s Art Supplies website.